This is the Battle Systems blog, hello. A lot’s been happening here at BS Towers, some of which I shall cram into your eyeballs right now. After many subtle hints (and some blatant ones) we are now excited to announce our latest terrain. 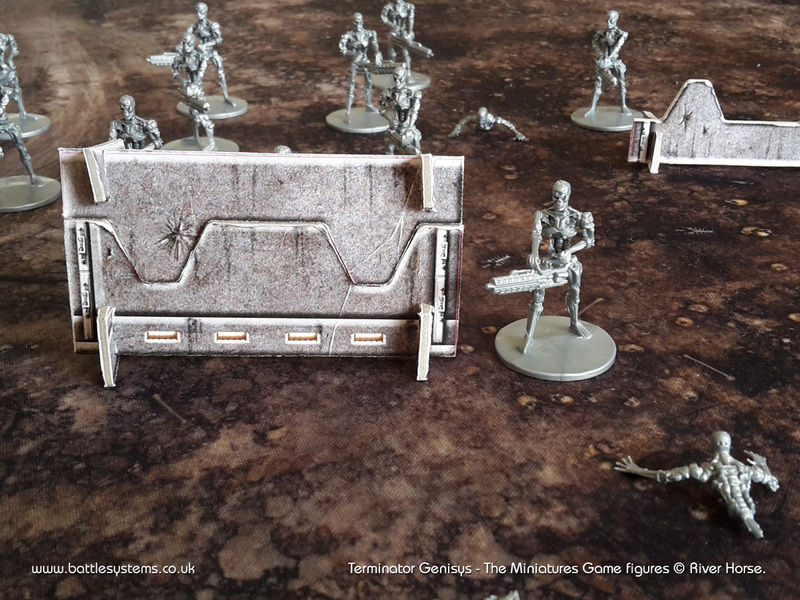 The time for guessing is over as we now unveil our BATTLE SYSTEMS POST APOCALYPSE TERRAIN! 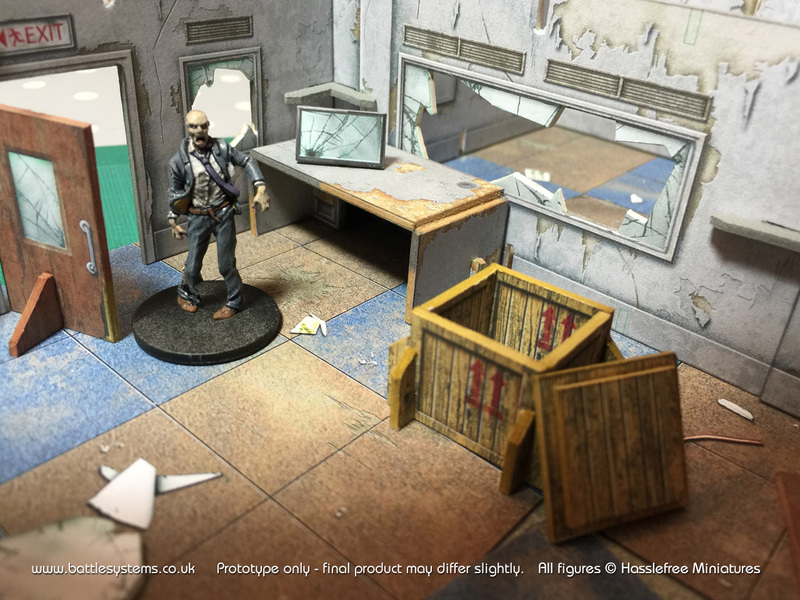 Ideal for for both zombie apocalypses and modern warfare this terrain will be both internal and external. It’ll work for many games systems that need that rougher look. Think urban decay and you won’t be far off. Mr. Zombie models the latest in internal scenery. Look! No ramps! The card barricades were designed by Colin’s fair hand. The barricades can also be stacked on top of each other. 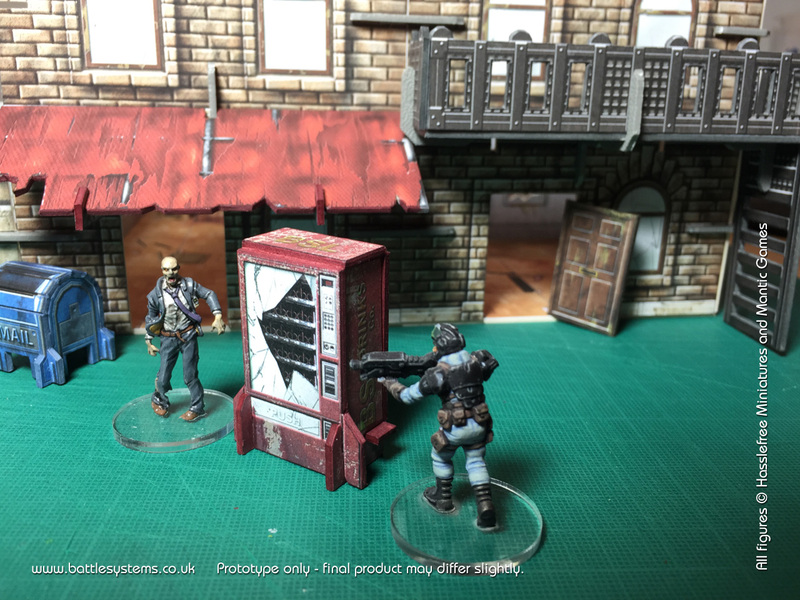 If you can’t wait for the restocking we will be at Salute on the 25th April 2015 flogging stuff out of the back of a van. You can pick up some rare items and avoid shipping charges by grabbing a fistful of Sci-fi add-ons and a Stronghold or two. 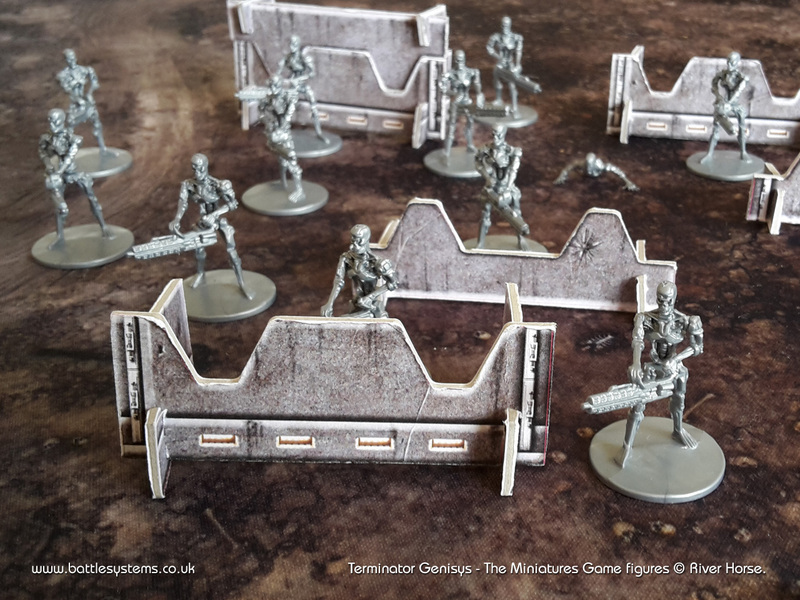 We’ll also be showing off some of the Post Apocalypse terrain (table space allowing) so come on over for a bit of an old chat. The Fantasy Dungeon is poised to roll into production as you read this. Our hard working minions are preparing to hand weave the magic into shape ready for our backers. You can read up on our progress on our Fantasy Dungeon updates.